Last night, Mario Batali and 10 other star chefs prepared a sure-to-be-legendary dinner for 1,000 guests who'd braved torrential rain. Their reward: an amazing four-course meal and a live performance from The Roots as a kickoff for today’s launch of EAT (RED), DRINK (RED). 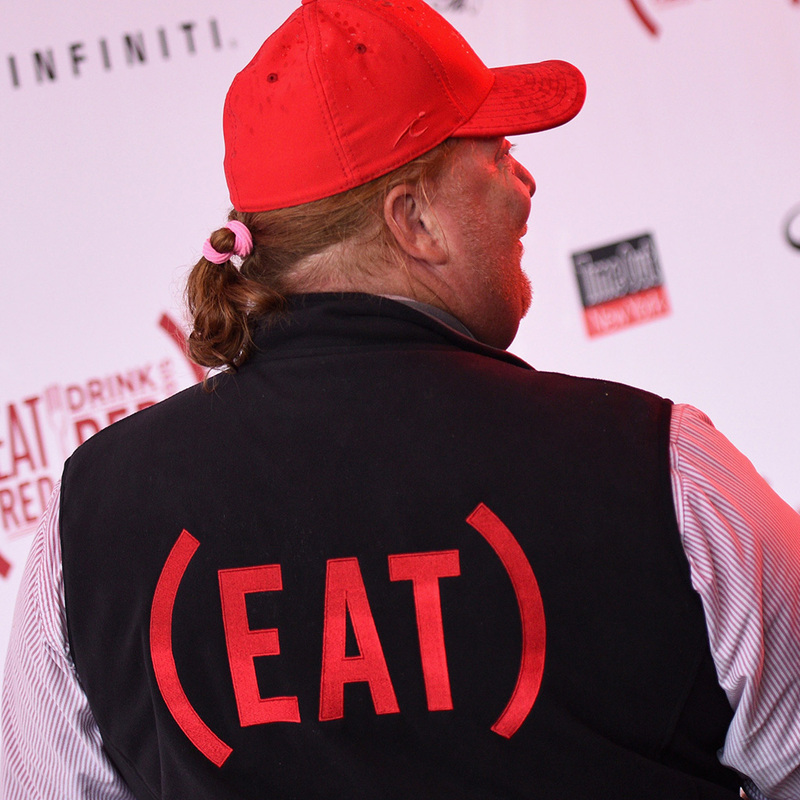 Last night, Mario Batali and 10 other star chefs prepared a sure-to-be-legendary dinner for 1,000 guests who'd braved torrential rain. Their reward: an amazing four-course meal and a live performance from The Roots as a kickoff for today’s launch of EAT (RED), DRINK (RED). For the entire month of June, restaurants and bars like New York City's The Meatball Shop, San Francisco’s Michael Mina, Los Angeles’s The Bazaar by José Andrés, Chipotles all over and other spots across the country (find out who’s involved around you here) will offer (RED)-inspired specials, the proceeds from which will go to help fight AIDs. It’s all part of the global effort to #86AIDs. As part of the campaign, we’ll be taking part in the world’s first emoji food fight hosted by @RED this Friday at 9 a.m. EST. Stay tuned for more details and follow along with the hashtag #REDFoodFight.